Dog hair, swamp mud and pond scum are all things that can turn the seats inside your truck into a disgrace. 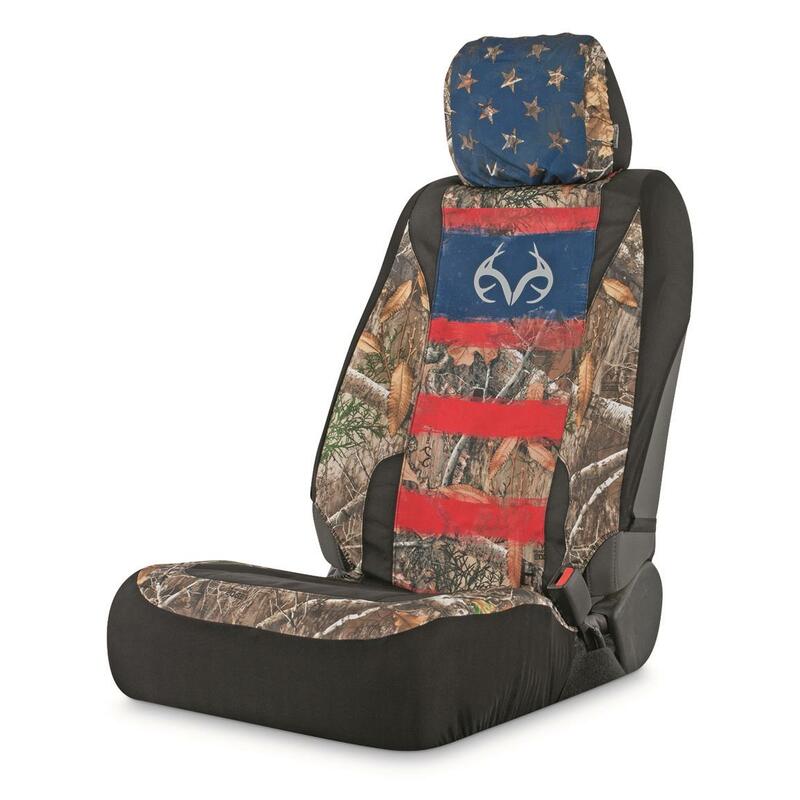 Prevent that from happening with this good-looking Americana Low Back Seat Cover decked out in Realtree EdgeTM camo. They'll do the job of keeping your upholstery looking like new, and they'll do it in patriotic style. And for a truly American-looking interior, add the Americana Low-back Seat Cover (Item 704689). Americana Low Back Seat Cover, Realtree Edge is rated 5.0 out of 5 by 1. Rated 5 out of 5 by gfred1586 from Perfect MAGA themed seat covers! Intelligent design and great fit seat cover for my pick up. Only wish they made a back bench seat cover too.